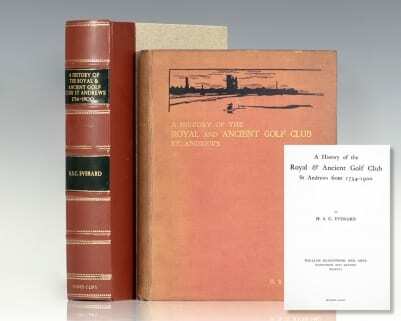 Raptis Rare Books maintains an extensive selection of rare art books and rare books on architecture in our library. From autographed copies of Andy Warhol’s Exposures to an inscribed first edition copy of The Art of Walt Disney, we’re sure to have what you’re after. 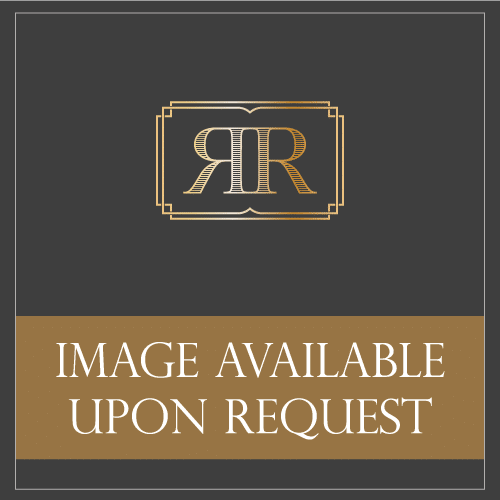 Browse through our entire collection below, view details about individual books and contact us to ask a question or find out more information! Hayden, Dolores; Photographs by Jim Wark. 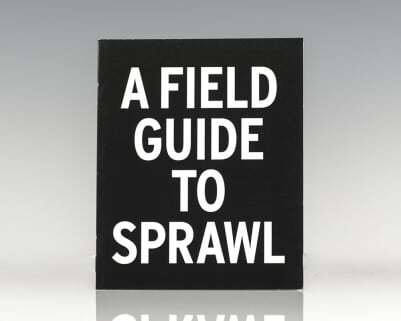 A Field Guide to Sprawl. New Have: Yale School of Architecture, 2007. First edition of this pamphlet, which is the exhibition booklet. Octavo, original wrappers. In fine condition. Power, Sir D'Arcy and H.J. Waring. A Short History of St Bartholomew’s Hospital 1123-1923, Specially Bound on the Occasion of the 800th Anniversary of Its Foundation. London: Charles Whittingham and Griggs, Ltd, 1923. Elaborately bound presentation copy. Octavo, full tan morocco, elaborately gilt tooling to the spine, front and rear panels with black morocco inlays, cornerpieces of thistles and flowers, front panel with central crown and gilt medallion portraits of Rahere and Harvey, silk endpapers. Full-color frontispiece illustration of The Tomb of Rahere in the Church of Saint Bartholomew the Great, thirty-four black and white plates with tissue guards. Presentation plate to rear free endpaper, “Presented on the Occasion of the Eight Hundredth Anniversary of the Foundation of St. Bartholomew’s Hospital. Stanmore, Treasurer. On Behalf of the Governor’s of the Hospital. June 1923.” From the Library of the Edward, The Duke of Windsor. Rare and desirable. Linclon, Abraham; Designed and written by W.H. Pratt. Lithograph by A. Hageboeck. Abraham Lincoln Emancipation Proclamation Typographic Portrait. Original typographic portrait of Abraham Lincoln composed of his Emancipation Proclamation, issued on January 1, 1863. In near fine condition. 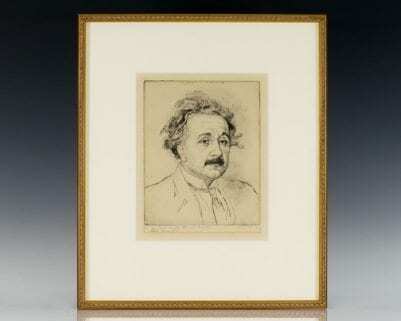 Double matted and framed, the entire piece measures 26.5 inches by 19 inches. An exceptional piece, a rare and desirable piece of Americana. Lewis Carroll (C. L. Dodgson); Illustrated by Salvador Dali. New York: Maecenas Press & Random House, 1969. Folio, one of 2500 numbered copies, signed by Salvador Dali on the title page. 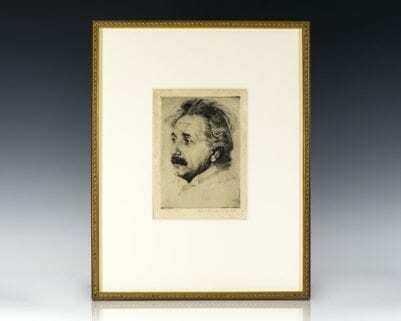 With original etching in colors and 12 full page color plates by Dali. Loose as issued in original brown silk chemise decorated in gilt, tan leather-backed clamshell case with imitation bone clasps. In fine condition. An exceptional example. New York: Praeger Publishers, 1969. First edition. Quarto, original cloth. 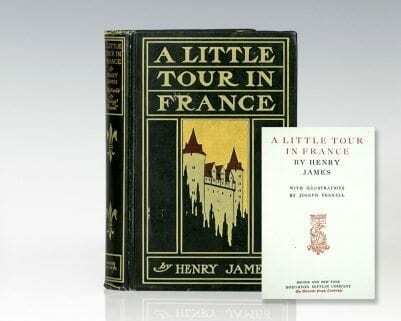 Fine in an excellent dust jacket that shows some light wear to the extremities. Signed by the Vincent Scully on the title page. Anselm Kiefer: The High Priestess. London: Thames & Hudson Ltd, 1989. First edition of the artist’s monumental work which comprises a bookcase filled with gigantic books made from lead: ‘. Folio, original cloth. Fine in a fine dust jacket. Anthony Perkins Signed P.B. Socci Sketch. Rare graphite artist’s sketch of American actor Anthony Perkins from a scene from the 1960 Alfred Hitchcock film Psycho. Signed by Anthony Perkins. Additionally signed by the artist, P.B. Socci. Active in the mid 1970s, American artist Pat B. Socci gained a reputation for seeking out Hollywood icons to sign his sketched portraits. The drawing measures 11.5 inches by 9 inches. Anthony Quinn Signed Artist’s Sketch. Signed graphite P.B. Socci portrait of Mexican-American actor Anthony Quinn. Signed by Anthony Quinn to the left of his portrait. Additionally signed by the artist, P.B. Socci. 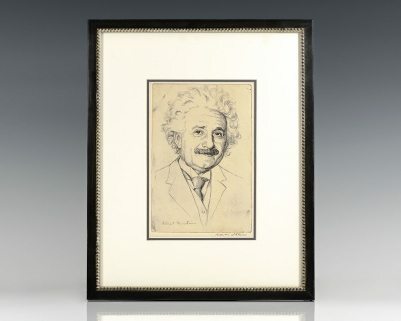 Active in the mid 1970s, American artist Pat B. Socci gained a reputation for seeking out Hollywood icons to sign his sketched portraits. The drawing measures 8.75 inches by 11.5 inches. Munich: Verlag Fred Jahn, 1989. Munich: Verlag Fred Jahn, 1989. 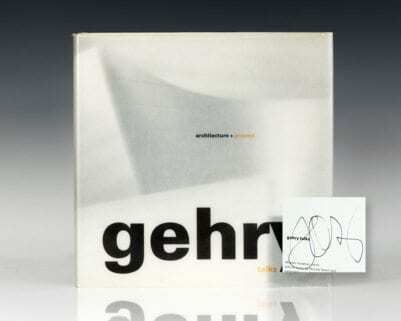 First edition of one of the most revealing collections of the photographic work of Gerhard Richter. Folio, original cloth. Signed and dated in the year of publication on the half-title page, “Gerhard Richter 14.10.89.” Fine in a fine dust jacket.